Let’s say that you’re about to practice a new piece of music: What’s your typical plan of attack? Researchers have observed that expert and student musicians display profound differences in their approaches to learning new material, and those differences lead to huge disparities in performance quality. Nonetheless, I’ve found that students can employ high-level practice strategies and then perform expertly. But those practice strategies have to be learned. Chapter 3 of The Musician’s Way, spells out a range of strategies for tackling new pieces. The chapter starts off by defining three fundamental practice activities: discovery, repetition, and evaluation. That is, when we pick up an unfamiliar piece, we first discover its expressive and technical ingredients; next, skillful repetition instills fluency; all the while, we evaluate the quality of our work. To become adept practicers, then, we must develop expertise with discovery, repetition, and evaluation. 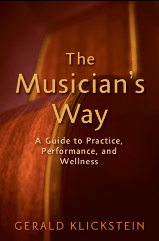 The six chapters that constitute Part I of The Musician’s Way are designed to help musicians do exactly that. Here’s a quick summary of what you’ll find in Chapter 3. Note that I emphasize building interpretive and technical awareness before executing. My aim is to enable musicians to be precise and creative from the outset of learning. To get an overview of a piece, I propose that we establish an aural model (typically by listening to recordings), research background information, and prepare a score. Score preparation entails dividing a piece into sections, identifying difficulties, translating any text, and numbering measures. To map an interpretation, I apply the Principles of Artistic Interpretation detailed in Chapter 2, and I advocate expressively vocalizing rhythms. I provide separate guidelines for singers and instrumentalists to map the technical requirements of a composition. For instrumentalists, those strategies involve aligning fingerings, breaths, bowings, tonguings, and so forth with the interpretive map. With an interpretive/technical framework in place, I describe ways in which we can play or sing with ease. In particular, I discuss strategies to ensure quality and learn efficiently. After delineating the abovementioned four steps, Chapter 3 delves into tactics for managing repetition, evaluating our work, and solving problems. The ensuing chapters of Part I delineate practice strategies to mature pieces to concert-ready level. Part II then covers performance skill development. Ultimately, my objective is to outfit musicians with the tools they need to be independent artists who can absorb music quickly and perform fearlessly. Preview The Musician’s Way and read reviews at Amazon.com. Great question, Patrick. Composing necessarily involves trying out options and abandoning some ideas while retaining others. So it’s easy for playing habits to become scrambled. Here’s a thought: When a piece reaches its final form, restart your learning process. Work in sections and at a slowish tempo – clarify your interpretive map, pinpoint fingerings in each hand, and then join sections and manage repetition as described in The Musician’s Way so that you reinforce excellence at all levels. Most of all, have fun with the process. Bravo to you for being an original. 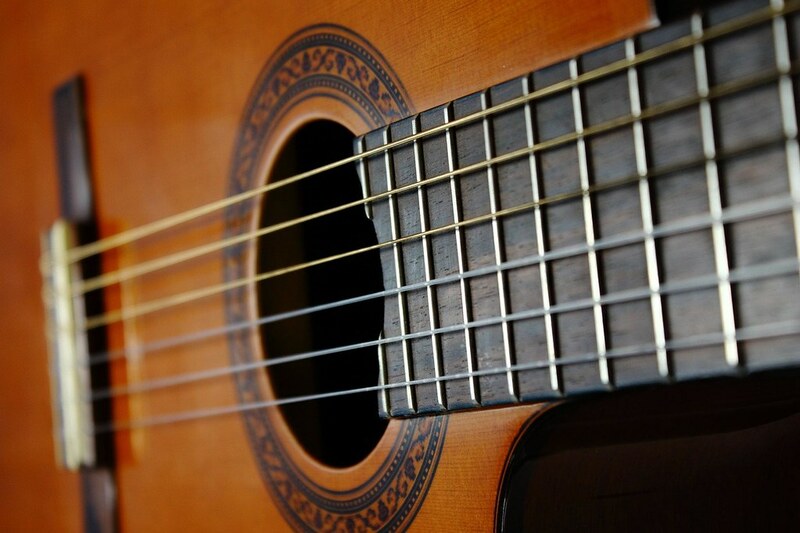 I compose my own music on the guitar. This tends to have me trying out many different solutions and making many errors in the process. By the time a piece is “finished” I frequently already established bad practices in my hands. Any suggestions? You are so right, Rachel. Repairing avoidable learning errors can be tedious. It’s always preferable to start with accuracy and expression than to begin learning haphazardly and then have to spend hours in practice trying to undo mistakes.